Toronto police have located a four-year-old girl who was the subject of an Amber Alert after the car she was in was stolen after it was left running outside the family home. Toronto police have located a four-year-old girl who was the subject of an Amber Alert after the car she was in was stolen when it was left running outside the family home. A passerby found the car in a parking lot on Rosemount Avenue near Weston Road and Church Street, not far from the family's home in the Jane Street and Lawrence Avenue area, around 9:30 a.m. ET, Det. Ranbir Dhillon told reporters. The car was found running with the child inside, he said. The girl appeared to be OK, but was checked by paramedics as a precaution. The owner of Pristine Property Maintenance said Friday that it was one of his employees who found the car and the girl. The employee had stopped at the nearby housing complex on his rounds collecting litter at various sites. 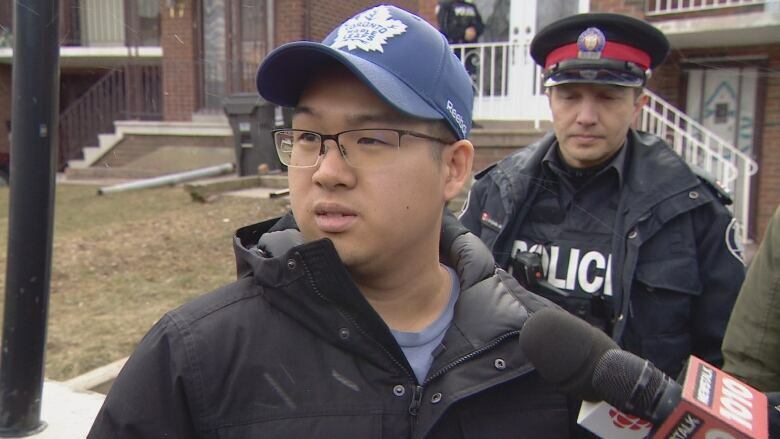 "Our employee John got there to do his litter pick-up and happened to notice that the black Camry was running and then realized that that was the black Camry that he heard [about] on the radio all morning," company owner Jon Agg told CBC Toronto in a telephone interview. "Then he looked in the back seat and sure enough there was the little girl." The employee called 911, Agg said, and checked to make sure the girl was okay. "He then said sweet things to her and closed the door again and then just waited for the police to arrive," Agg said. The employee did not want to speak to the media, he said. "I definitely think he's a hero, but he's a very humble guy," Agg said, adding that he returned to his rounds. After the child was found, police said they did not have any information about who may have taken the vehicle. Meanwhile, she was quickly reunited with a male family member. 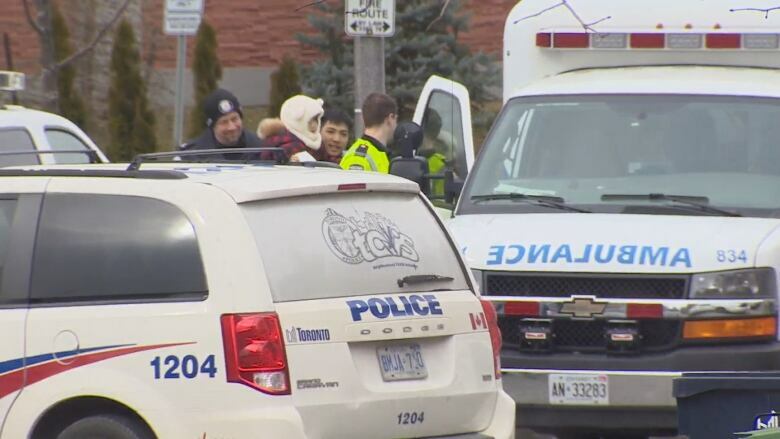 They were then put into a police minivan and driven back to the family home on Rosemount Avenue, where numerous police cars and an ambulance were lined up along the street. The child's mother was waiting for her daughter outside. She wrapped her arms tightly around the little girl and carried her into the home. A relative came out of the house around 11 a.m. to ask for privacy so they can "recover from this traumatic situation." "The family is relieved and in good spirits," Tony Lam told reporters. "Christina's in good health." The family's more than three-hour ordeal began shortly after 6 a.m. ET Friday, when they realized their vehicle was gone with their child inside. Police were called to the home on Romanway Crescent right away, Staff Sgt. Tim Jacob told CBC Toronto earlier Friday. The girl's mother started the car in the driveway to get it warmed up, then went back into her home to get a second child, police said. When she went back outside, the car was gone. "We are thinking it's an opportune crime where it's a vehicle that's running and nice and warm for somebody to take it," Jacob said. Until the family's 2008 Toyota Camry was found, there had been no confirmed sightings, only reports called in by drivers suggesting they saw the vehicle in Mississauga, just west of Toronto, and even as far away as Cambridge, about 100 km southwest of the city. After the girl and the car were found, Dhillon warned parents against leaving their children unattended in a car at any time. "Do not leave your children in your car while it's running," he said. "You should be there with your child, especially if they are this young."